The third phase of building Khanpur Dam, at the cost of Rs 700 million, has been halted once again due to mismanagement and scarcity of funds. The dam would ensure regular supply of water to Cantonment residents who now face an inevitable water crisis in the wake of the delay in construction. 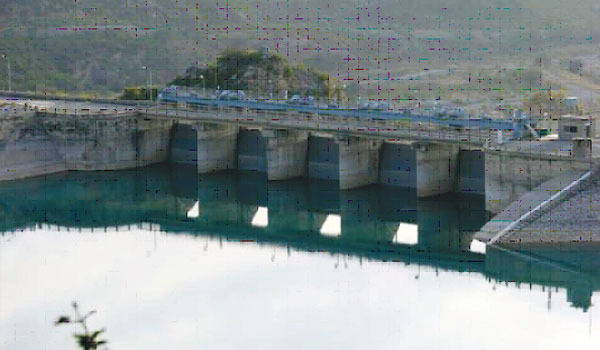 A senior Rawalpindi Cantonment Board official said that the cantonment areas relied on water from Khanpur Dam because the supply from Rawal Dam was not enough to meet their requirements. The Water and Sanitation Agency and Military Engineering Services had been using water from Rawal Dam to supply the garrison city and 46 union councils with water. The federal government had allocated Rs 405 million for the project under the Public Sector Development Programme (PSDP) for 2012-13. According to sources, the Planning Commission had released the funds, but the ministry concerned had not released instalments to the Cantonment Board for the last three months, indefinitely halting work on the project. As a result Cantt residents would have to face a severe shortage of water in the next summer season. Rawalpindi Cantt Board had started construction of Khanpur Dam Phase Three at the cost of Rs 700 million in October 2010 and the project was to be completed by October 2012, however even 40 percent work on the project could not be completed on time. According to the project, 20,942 metre-long water supply lines would be installed in Rawalpindi cantonment areas. Ten overhead water tanks with a storage capacity of 0.2 million gallons would be constructed in Afshan Colony, Burfkhana Chowk, Allama Iqbal Colony, Tipu Road, Dhok Syedan, Adra, Adiala Road near 502 Workshop, Naseerabad, Dhok Kashmirian, Aliabad and Dhoke Chiraghdin. However, the RCB had so far managed to construct only four overhead water tanks at Naseerabad, Adra, Dhoke Chiraghdin and Tipu Road and three underground water tanks at Naseerabad, Aliabad and Adiala Road near 502 Workshop. Sources said that the Cantt Board had paid Rs 100 million to a contractor from their own account, however additional payments to the contractor needed to be made in order for him to restart work on the project. The Planning Commission had released a grant of Rs 81 million to the Ministry of Defence, but the Cantt Board has still not been able to receive their share of the grant, sources revealed. When contacted, the Rawalpindi Cantonment Board CEO Rana Manzoor Ahmed Khan said that he had briefed the MLC DG about the project and Ministry of Defence Additional Secretary Vice Air Marshall Arshad Qudoos was also present at the occasion. He said that the board had raised the issue of non-provision of funds for three months and the additional secretary assured them that they would resolve the problem soon.